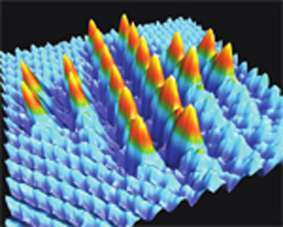 The nanosciences deal with objects only a few nanometers in size. Typically, these objects consist of just a small number of atoms and molecules. The laws that govern this nanometric world are different from those encountered in the macroworld with which we are so familiar. Nanoscientists are trying to get to the bottom of these laws. In many cases, nature provides the model, as this is where the interaction of individual molecules and atoms is perfectly attuned. At the nanometric scale, physical, chemical, and biological questions play an important role. In nanoscience research, however, the boundaries between the classical disciplines break down. In this area, success depends on close partnership working in interdisciplinary teams. Physicists, biologists and chemists – as well as material scientists, physicians and computer technologists – therefore work hand in hand to push forward nanoscience and applications in nanotechnology. In recent years, nanoscience and nanotechnology have been responsible for some important technological achievements. The range of possible applications is huge. For this reason, nanotechnology is often described as the key technology of the 21st century.